JAZZ LIVES has made it possible for me to have friends all over — certainly more friends than I would have envisioned in middle school. One of the most able is the swinging string bassist Jen Hodge, whose work I’ve admired on a number of CDs with Bria Skonberg, Glenn Crytzer, Evan Arntzen, and other assorted Arntzens. She’s also a charter member of the Company B Jazz Band, whose name makes more sense when you remember the Andrews Sisters’ recording about the boogie-woogie bugle boy of . . .
Company B Jazz Band, of which Jen is an integral part, has been together since 2006, performing in 3-part close harmony style à la the Boswell and Andrews Sisters (though Company B also has transcriptions in their repertoire from other harmony groups of the era, such as The Keller Sisters & Lynch, the Mills Brothers, etc, as well as many of their original arrangements). For more information about the band, please visit their site. At the Boswell Sisters Revue concert in New Orleans last Fall, organized by Kyla Titus and featuring 3-part harmony groups from around the world, they were the only Canadian group at that prestigious event. Now Company B is once again the only Canadian band invited to play at a prestigious festival, but this invitation is both more impressive and slightly more difficult to accomplish. Company B Jazz Band has been invited to perform at the Nanjing International Jazz and World Music Festival in China this October. Their hot music will be heard all across the province Jiangsu, in a dozen different venues and municipalities. It’s onerous enough to move six band members (plus wardrobe, instruments, equipment) within the United States and Canada . . . but the trip from here to China poses its own problems. You can guess what might be next in this post. Readers of JAZZ LIVES might know that I have some reluctance to use this blog as a platform for fundraising, but I do it when the request feels right. Introducing Chinese listeners to the music of the Sisters Boswell and Andrews . . . as well as the others — this seems like a fine idea. International relations, you know. And I don’t write a post such as this without making a contribution on my own. Here is the INDIEGOGO page — where you can read about the rewards for contributing, and find out more about the band. Start with Boswell harmony, and who knows what kind of global harmony might result? 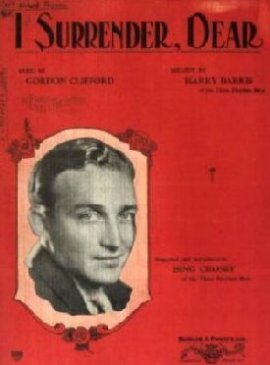 It was issued under the name of pianist Garnet Clark, but it’s more often presented these days as a Django Reinhardt recording. The stars are Clark, trumpeter Bill Coleman (catch his wonderful Louis-homages at the end, two, gloriously), clarinetist George Johnson, string bassist June Cole. 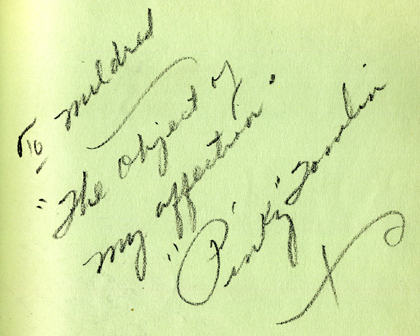 Poor Garnet Clark had a short life and a shorter recording history, dying young and in a psychiatric institution. But how he could play! Extra credit to those who know who Pinky Tomlin is. I hope that the air today is full of people humming and singing this song. Posted in "Thanks A Million", Bliss!, Generosities, Hotter Than That, It's All True, Jazz Titans, Pay Attention!, Swing You Cats!, That Was Fun!, The Real Thing, The Things We Love, Wow! A delicious new group has made an equally satisfying debut CD. See here! 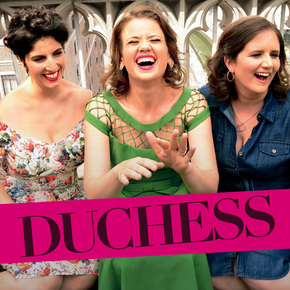 DUCHESS — an ebullient female trio — is quirky, swinging, silly, and loose but exact. 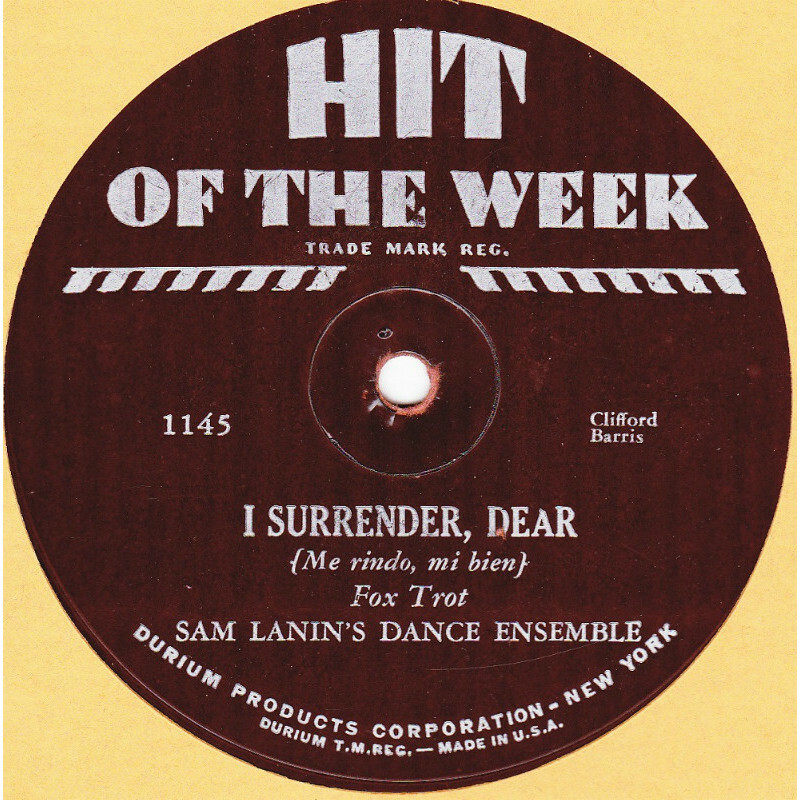 The three “girl singers,” justly known for their own solo work, are Amy Cervini, Hilary Gardner, Melissa Stylianou — listed here in alphabetical order, no ranking implied — and they are backed by swinging modernists — Michael Cabe, piano; Paul Sikivie, string bass; Matt Wilson, drums; Jeff Lederer, saxophone (1, 5, 6, 9, 11); Jesse Lewis, guitar (1, 2, 7, 8). The surprising and fresh arrangements are by producer Oded Lev-Ari for their debut CD on the Anzic label. You can read more about DUCHESS here. Many jazz groups have clear antecedents or they follow a pattern (you can provide your own examples here). But I don’t think there’s been any group like DUCHESS for decades. This isn’t to suggest that they are a conscious re-enactment of the past, although they do perform one spiffy homage to the Boswell Sisters on HEEBIE JEEBIES. 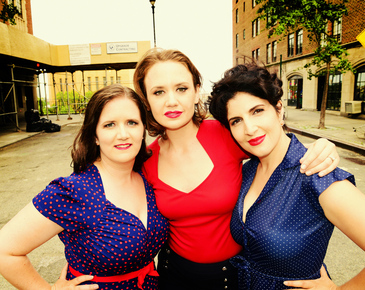 They are inspired by Connie, Vet, and Martha, but in the most inventive way — their close harmony performances are startlingly alive and full of surprises, tempo changes, and sophisticated play. Each track is a miniature symphony for voices, shifting their places in the great musical dance, and a lively improvising ensemble. For one instance — there is a famous second bridge to P.S., I LOVE YOU (which I know from Sinatra’s Capitol version): in this new version, each of the singers takes one line in the bridge, something so pleasingly startling that I had to play the track again to be sure I’d heard correctly. The atmosphere isn’t a re-creation of the Boswell Sisters’ recordings or of their “approach” in some mechanistic way, but DUCHESS seems — to my ears, anyway, to play with the question, “What would the cheerful radicalism of the Sisters’ elastic improvisations be like with three different singers and a new band, all of us fully cognizant of what has come after 1936?” So one hears a rhythmic pulse that evokes the Basie band brought forward in to this century, and tenor saxophone playing that sounds like Paul Gonsalves, updated and made even more personal. The magnificently musical drumming of Matt Wilson drives it all along, with quiet brushwork when the mood requires it. This is one of those CDs that doesn’t fully reveal all its pleasures or exhaust itself on one hearing. I was so delighted, listening to voices and instruments tumbling over each other in neatly acrobatic exuberance, that I haven’t yet figured everything out (who is that singing now; who’s leading the harmony?) after several listenings. I can only say that the three voices are singular in themselves, in range, timbre, and sound, but that they blend marvelously. And the blending is anything but formulaic. One can’t go to sleep while DUCHESS is romping. Their simple cheerfulness blasts through LOVE BEING HERE WITH YOU, LOLLIPOP, the aforementioned HEEBIE JEEBIES, and even in the medium-tempo swaggering performance I hear the whole group grinning. But for me the real triumphs are the more tender offerings: a melting QUE SERA, SERA, P.S., I LOVE YOU; a shape-shifting I’LL BE SEEING YOU, and BLAH, BLAH, BLAH — that most surprising comic love poem. This points up another facet of DUCHESS — their willingness to traverse the ground between silly and witty. They aren’t slapsticky in their comedy, but their light-hearted approach is elevating. And they are never blah. You can bring some of this joy into your life with the CD, or, if you are in the tri-state area, you should know that DUCHESS, backed by the same band as on the album, will perform an album-release show at New York City’s Jazz Standard on March 3, 2015. In most time zones, that’s tomorrow. 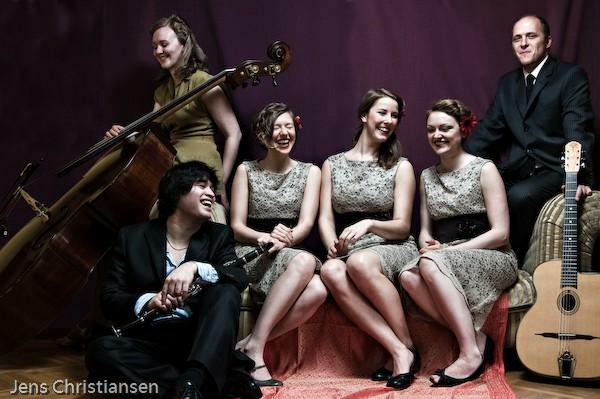 Shows are at 7:30 and 10 PM, and you can buy tickets and learn more about the group here.